CARFAX 1-Owner. PRICED TO MOVE $200 below NADA Retail!, EPA 24 MPG Hwy/17 MPG City! Base trim. Third Row Seat, Back-Up Camera, Rear Air, Aluminum Wheels. CLICK ME! Third Row Seat, Rear Air, Back-Up Camera. 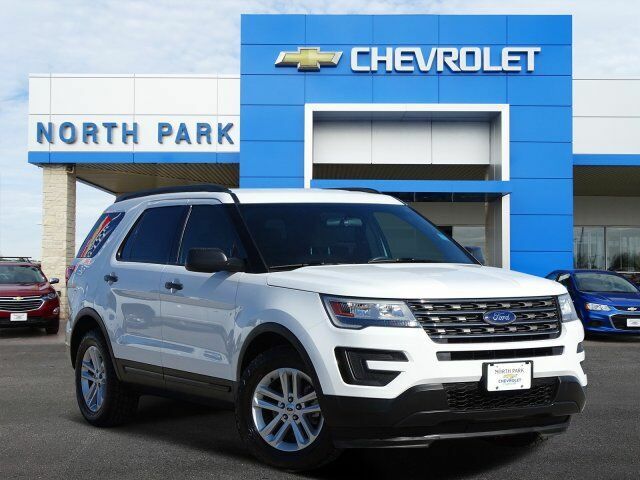 Ford Base with MEDIUM LIGHT CAMEL, CLOTH BUCKET SEATS -inc: 8-way power driver seat w/power lumbar and manual recli interior features a V6 Cylinder Engine with 290 HP at 6400 RPM*. Rear Spoiler, MP3 Player, Keyless Entry, Privacy Glass, Steering Wheel Controls, Child Safety Locks, Electronic Stability Control.